RICHARD BELZER is a stand-up comedian, actor and author. He is best known for his current role as John Munch on the hit NBC show, Law & Order: Special Victims Unit. He is also famous for his acerbic wit and astute political commentary: “90% of the American people believe there was a conspiracy to assassinate John F. Kennedy. Jesse Ventura is the former governor of Minnesota and author of four national bestsellers, including 63 Documents the Government Doesn’t Want You to Read and American Conspiracies. Ventura is the host of the television show Conspiracy Theory with Jesse Ventura on truTV. He lives in Minnesota and Mexico. This episode of The People Speak features two professors: Professor Noam Chomsky of M.I.T. during the first half hour and Professor James Tracy of the Florida Atlantic University during the last half hour. Film Director and Producer - Filmmaker! August 21, 2013 Los Angeles, CA Take Back Your Power, the first crowd-funded documentary investigation into the heated controversy over smart meters and the energy utility industry, today announced the public pre-sale for its exclusive digital premier September 5 on https://takebackyourpower.net/ Smart meters has been at the center of an energy conspiracy alleging massive utility overcharges, invasive monitoring of every device in the home and serious, adverse health risks impacting millions of individuals worldwide. Directed and Produced by filmmaker Josh Del Sol, Take Back Your Power offers a blend of interviews with energy experts, eye witnesses, government representatives, regulatory agencies, community activists and consumer rights organizations. The film also includes first-hand footage of utility workers installing smart meters against homeowner consent, severe property damage caused by technical problems with these devices, documented illnesses, and extreme, inaccurate power-bill hikes. Take Back Your Power promises to reveal a defining moment one its creators hope will hold the energy industry accountable for its role in these issues. Smart meters have become contentious to the point of hundreds of local governments passing moratoriums and other ordinances to prevent utilities from mandating installation. Due to a rising tide of awareness, utilities in more than a dozen US states now offer opt-out programs to their customers, although most charge an additional fee, cited by rights groups as extortive. As Take Back Your Power hits the digital screen, the elevation of this trend to the state-wide or national stage remains in the balance. We want to change how the energy corporations are working with their customers and instill a practice of transparency, accountability and fairness, said Josh Del Sol, Producer and Director of Take Back Your Power. 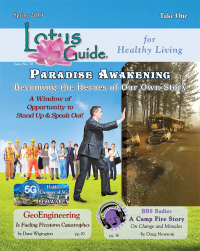 With the support of our crowd-funded backers, we ve been able to amass a great collection of first-hand footage, never-before-seen interviews and eye-witness accounts of the problems that have turned so-called 'smart' meters and the 'smart' grid, into a widespread controversy involving the energy utility industry and governments. 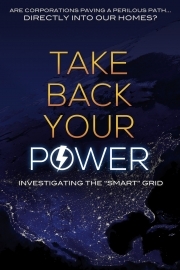 Take Back Your Power delivers an ominous, powerful message about the energy industry s shift to closely watching how customers use energy in their home in an invasive, controversial manner, said Lee Waterworth, President of Yekra. We are thrilled to exclusively bring this influential documentary to the digital world.